The Berkley PowerBait MaxScent Power Chunk adds movement and bulk to your jig. Designed with the old pork trailers in mind but easier to use, the texture provides more surface area for PowerBait MaxScent scent & flavor. The all-new material releases a super-charged scent field attracting fish in a way never before seen. Bring the fight to the fish and stick around for the beatdown. The Zoom Beatdown gives a whole new meaning to "small, but powerful". It has no limits, from the ned rig, neko rig, wacky, on a dropshot, or even a small shaky head. The versatility of the Zoom Beatdown is the knockout blow you've been looking for. The 4" Boar HogZ is a super-versatile power-fishing bait that anglers can employ for a wide array of applications ranging from penetrating thick, matted vegetation to dragging along the bottom on a wobble head or football jig. A compact creature bait with 10X Tough durability, a ribbed body, tapered legs, and action-packed textured, twin curly tails. 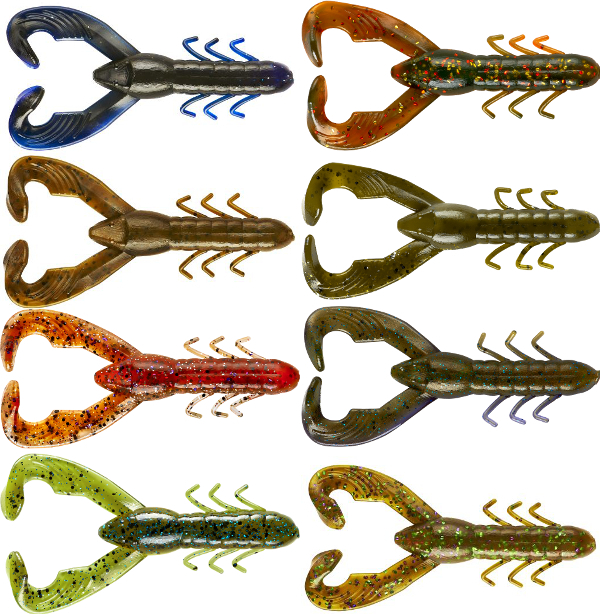 Color Canada Craw has been added to our selection. Designed by Elite Series pro Brett Hite in conjunction with Japanese luremaker Evergreen International, the ChatterBait Jack Hammer's flat-bottom, low center of gravity head and super thin, strong stainless steel blade enable it to start vibrating quickly and hunt in an erratic, side-to-side motion, just like a frantic baitfish. 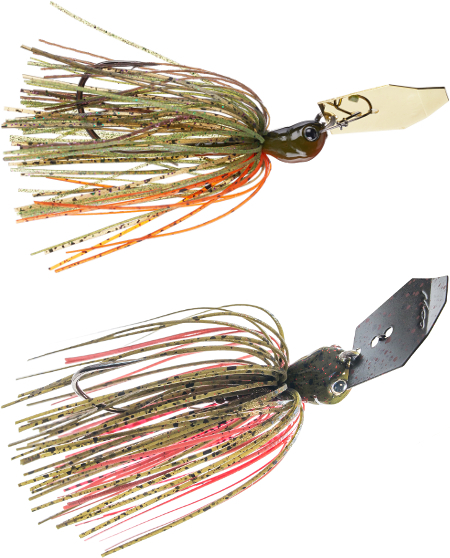 New colors Brett's Bluegill and Hite's Hot Craw have been added along with a larger 1.5 oz size. Thanks to their remarkably soft, pliable, buoyant, and 10X Tough ElaZtech construction, 3.5" Trick ShotZ—Z-Man’s first specifically designed drop shot baits—feature limber, ribbed bodies and spade-shaped tails that produce ultra-lifelike action with little rod movement, and are impregnated with salt for taste and texture. Mimicking a variety of invertebrates that make up the bulk of a bass' diet, the 3" TRD HogZ is a ribbed, compact-profile creature bait designed to pair perfectly with Z-Man's Finesse ShroomZ and NedlockZ jigheads for Midwest finesse-style applications. TRD HogZ are a game-changing option for Ned Rig anglers experiencing tough bites, or simply seeking to maximize their time on the water with as much fish-catching action as possible. The slim, shad-shaped body, thin tail, and superior action of the 4" Finesse ShadZ make them ideal for drop-shotting, Ned rigs, split shot rigs, and other finesse applications. Tested on largemouth, spotted bass, smallmouth, and walleye nationwide, they're a proven performer when the bite gets tough. 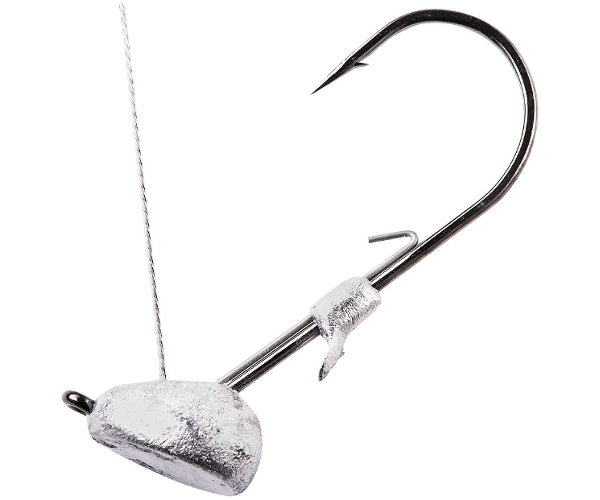 Gamakatsu's most versatile hook, the Gamakatsu Octopus Hook has long been known for its durability and strength. The Octopus hook comes in a wide variety of sizes, colors and finishes. We've added more smaller sizes in the NS Black model. The Grubber features a revolutionary plastic keeper that keeps your swimbaits intact and sitting straight on the hook shank all day. Proudly made in the U.S.A. All sizes have been added to offer the full selection. When Elite pro Jason Christie was asked what he wanted in a flipping and pitching bait, this is what he brought – a compact craw that swims and flails on the drop to simulate a crawfish or a baitfish. The hyper-action claws feature thicker plastic at the ends to maximize action. 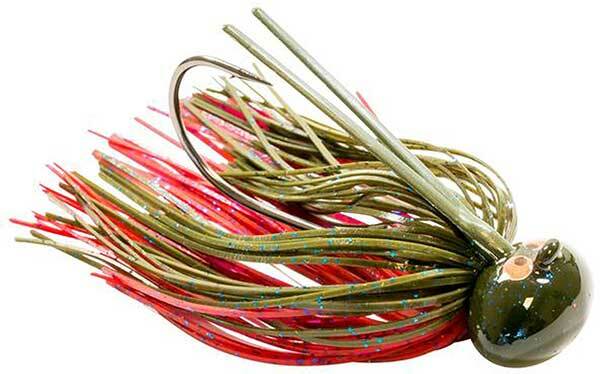 The Christie Craw also makes a tremendous jig trailer. We've added the full selection including new colors Green Pumpkin Flash, Camo, Natural, Olive Shadow, and Summer Gill. 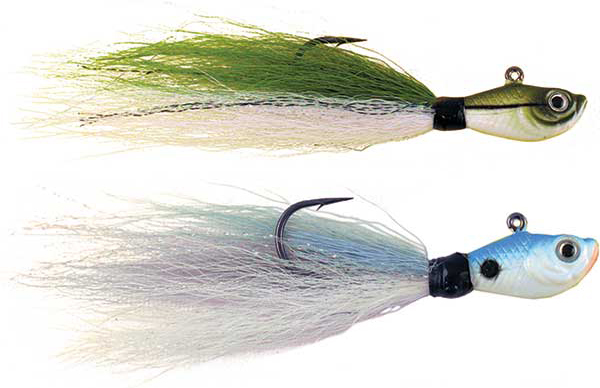 The Bucktail Jig has a unique head shape eyelet and placement which gives it a natural gliding action. When jigged, its body stays parallel for great jigging action. The Bucktail Jigs are made with durable, super sharp Gamakatsu hooks and come in an array of fish-catching colors. We've brought back a wider selection and added colors Sand Eel Green and Spearing Blue along with larger 4 oz and 6 oz sizes. 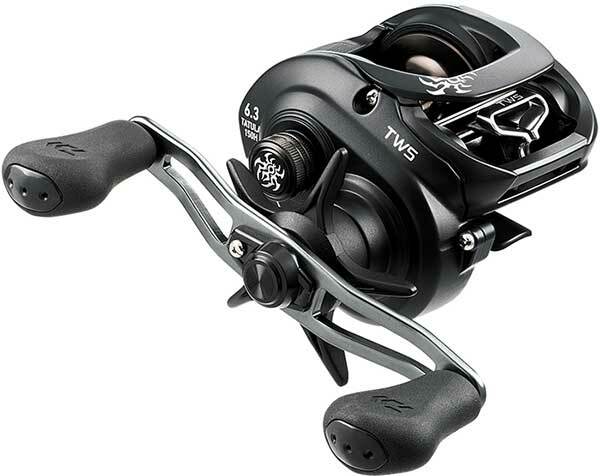 The Daiwa TATULA 100 TWS is the smallest and lightest reel in the series. It is the most comfortable and palmable reel seen in many years. 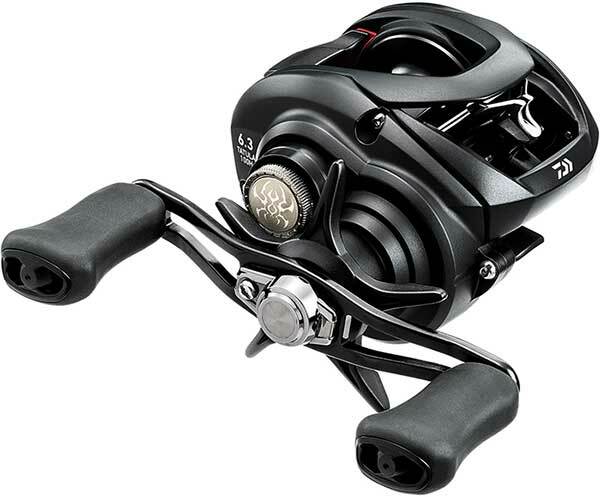 And with a feather weight of 6.9 ounces it may be the lightest, most fatigue free, reel Daiwa has ever built. The Zero Adjuster spool setting and T-Wing System level wind casts longer and more accurately. 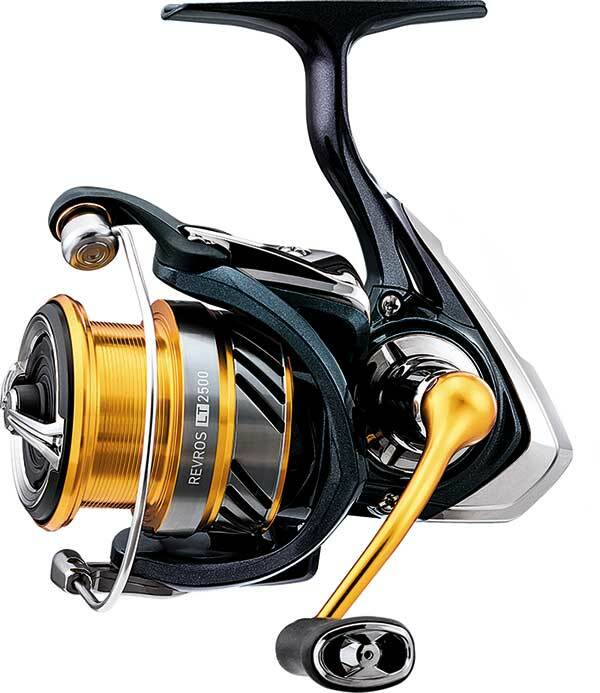 The REVROS LT incorporates the LT Concept of light but tough in a proven reel design. The spinning reel's weight was reduced by 2 ounces in the 2000 model and a hefty 5 ounces in the 4000 model. The Machined Aluminum Handle smoothly transfers power to the main gear. The Air Rotor System is 15 percent lighter than compatible rotors and well balanced for smooth positive retrievals. 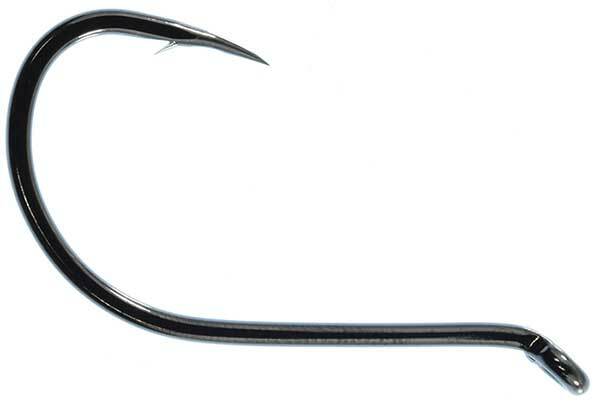 Gamakatsu's standard offset shank hook with a round bend for a larger bite area. Perfect for Carolina rigging, or any time you need a stealthy presentation. We've added the 25 count packs in Bronze to our selection. Designed with a wide wobbling hunting action, the RkCrawler's deflection ability bounces it off cover like no other lure to trigger aggressive strikes. Just hit the rocks and the RkCrawler 55 does the rest while rocking the school of fish like no other crank bait! New colors Burnt Orange Craw, Electric Red Craw, Melon Craw, and Red River Craw have been added to offer the full selection. The RkCrawler MD 55 features all the benefits of the RkCrawler 55, but with a shallower dive angle, this bait will be able to come through rock more like a square bill crankbait to deflect off cover and draw more strikes. 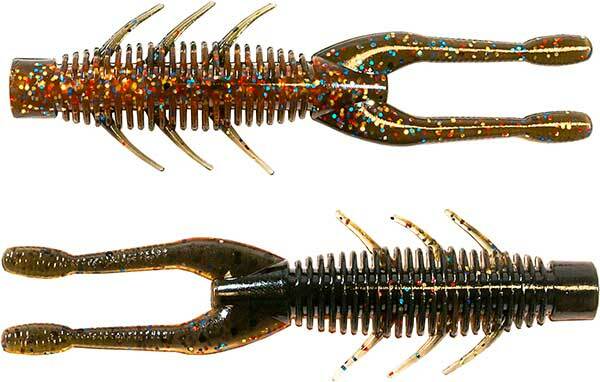 When the fish are shallower than 7 feet, the RkCrawler MD should be your go-to RkCrawler. We added color Phantom Watermelon to bring you the full selection. Create a top water commotion they can't resist with the Berkley Spin Rocket. The Spin Rocket's slender hydrodynamic profile is an excellent minnow imitator that glides across the surface. Its clear plastic props feature a cupped design with an enhanced surface area that can spin at slower speeds with maximum spray. Twitch it, rip it, or simply reel it across the surface for irresistible spraying action. The Berkley WakeBull combines the popular Squarebull body with a shallow pitched bill and tail wagging action. 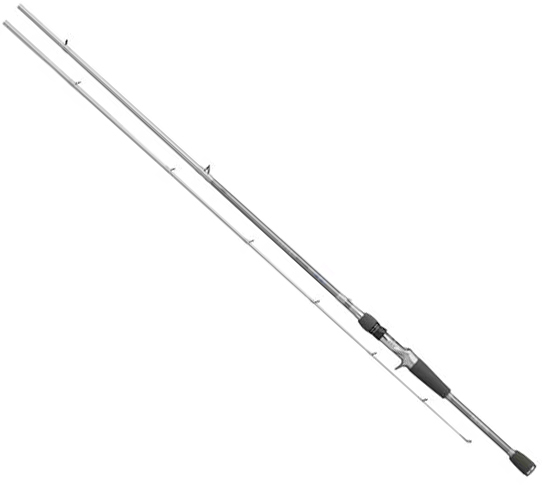 Its bill and well-balanced design not only allows it to deflect off surrounding cover but also allows it to be fished at higher speeds without blowouts. WakeBull's sound resonance chamber amplifies the knocking sound with each wag of the tail that entices the curiosity of surrounding fish. An extremely versatile lure, the Berkley Jointed Surge Shad provides an exaggerated wobbling action that is ideal for fish actively feeding on the surface or those that are suspended. 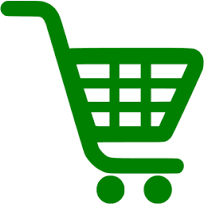 Its bill design has been tailored for multiple presentations. 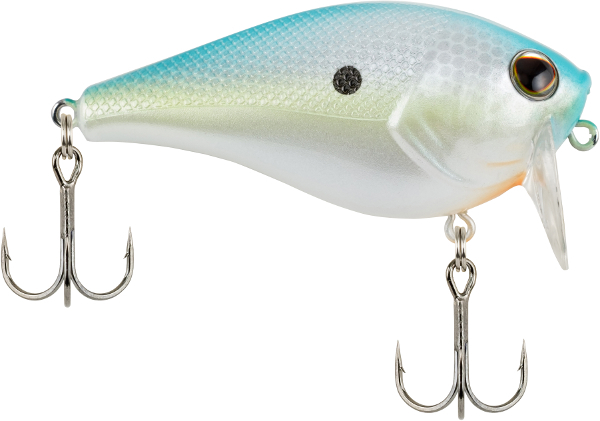 Simply reel it, twitch it, or aggressively jerk it – this louder and more aggressive version of the Surge Shad excels in a variety of situations. Berkley PowerBait MaxScent Lizard has a classic lizard design plus it's optimized for MaxScent material. Impregnated with PowerBait MaxScent for slow moving applications, the all-new material releases a super-charged scent field attracting fish in a way never before seen.